The whale shark tour in Oslob, Cebu, is one of the most popular adventures here in the Philippines. Tourists from all over the world flock to this little spot in the Visayas region for this once-in-a-lifetime experience: swimming and taking pictures with the biggest species of fish in the ocean. 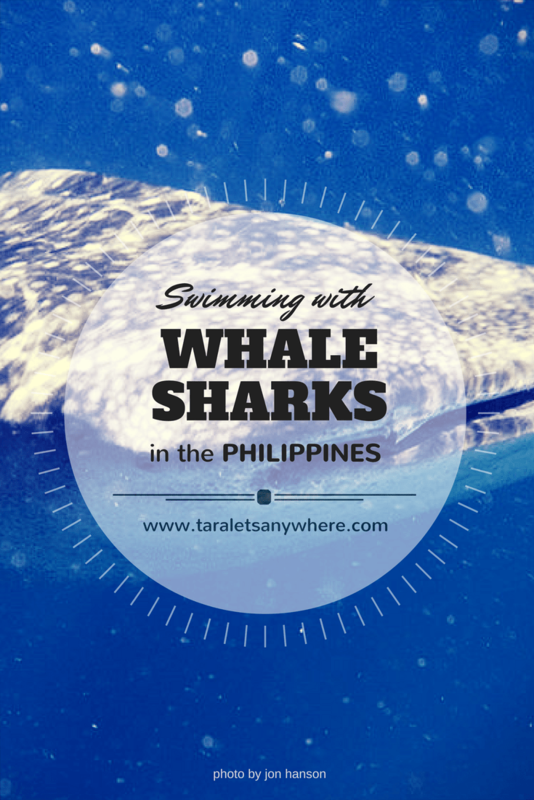 In the Philippines, there are 2 main places for the whale shark tourism. Oslob in Cebu is the more popular one, but it poses a long-term threat to the ecology. On the other hand, the lesser-known Donsol in Sorsogon is the better, ethical choice. Whale sharks are known as the gentle giants. They are the largest fish in the sea, measuring up to 40 feet. They are plant-eating animals, hence the monicker. They can be seen in a few places on earth, including Australia and select places in Asia. In the Philippines, whale sharks can be seen in Cebu, Sorsogon, Leyte and even in Palawan. Of these places, Cebu and Sorsogon have the more established whale shark tourism. Whale sharks are locally known as butanding. The whale sharks are a big tourist attraction in Oslob. It draws hundred thousands of tourists every year. It provides local income, and it has essentially put Oslob in the world map. In Oslob, the locals regularly feed the whale sharks with krills to keep them in the area. This guarantees sighting all-year round. There are various reasons this is not a responsible practice. One is that the animals suffer injuries from constant rubbing with boats and contact with tourists, despite a regulation that instructs everyone to keep a 4-meter distance from them. People think that injury from human contact is only caused by irresponsible tourists, but this isn’t necessarily true. We were in Oslob about 2 years ago, and with the enclosed space as well as the whale sharks’ tendency to swim close or beside humans, it can be difficult not to hit or get hit by them. At least 3 in our group then experienced this. While this isolated cases might not be serious, taken collectively it may take a toll on the whale sharks’ bodies. We also read that sometimes there are as much as 100+ tourists crowding the sharks in the given 30-minute period. Whale sharks become accustomed to being human fed that they automatically associate human presence with food. This makes them easy bait for shark hunters or conditions them to come close to any boat, which is dangerous if the boats sport propellers. The whale sharks are also not fed enough by the locals. Since the whale sharks miss out on the nutrients from various plankton growing in other areas, they suffer from lack of nutrition. Lastly and perhaps the most important, this changes their natural migratory pattern. Normally, the whale sharks would stay in Oslob for about 60 days before moving to another place. With the regular feeding, they become mainstays in Oslob for 365 days a year. Scientists fear that this may eventually harm their breeding cycle and thus reproduction. To learn more about the effects of the Oslob whale watching tourism, head on to Dive in Bohol and LAMAVE.org. The whale shark tourism in Donsol, Sorsogon, is a more responsible practice. In fact, it’s supported by the World WildLife Fund. Here, whale sharks are not fed by the locals. 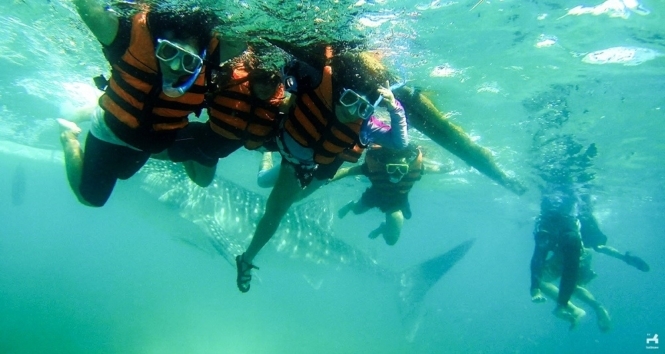 Whale shark watching in Donsol is a seasonal activity following the animals’ migration pattern. Tourists are accompanied by spotters and guides to see the whale sharks in the wild. 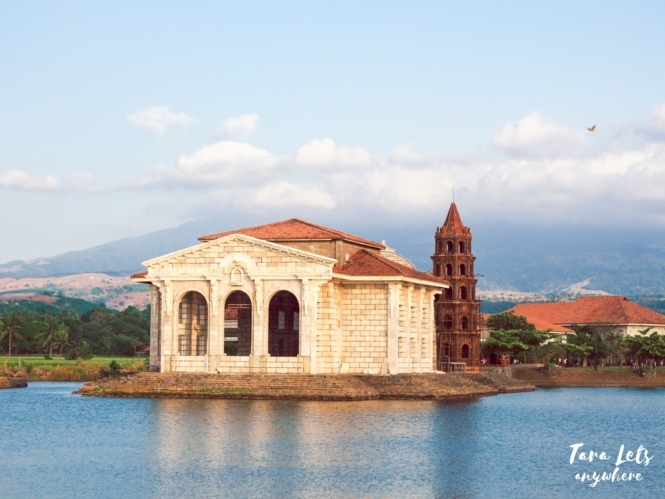 The best time to go in Donsol is from February to April. Even during peak season, interaction is not 100% guaranteed so it’s best to allot 2 days for the whale shark tour in Donsol Bay. I’m not certain how the whale shark activity in Oslob affects that in Donsol, but observations aren’t positive. My close friend Steph who lives in Sorsogon says that fewer whale sharks are being spotted in Donsol, possibly because many have preferred to stay in Oslob for the food. Similarly, another blogger wrote about the declining sightings of whale sharks in Donsol since 2011. I think we’ll know for sure in a few years’ time, although I hope we wouldn’t have to get to that point. P.S. Another place where you can spot whale sharks in their normal routine is in Pintuyan in Southern Leyte. First of all, the information campaign about the whale shark tourism in Oslob is still ongoing. Even today, a lot of people are still unaware of is harmful effects. In fact, we were in Oslob back in 2015 and only found out about this issue after our trip, when I was doing research to include in a blog post. Moreover, the local government continues to support it since it generates income and basically supports the local livelihood of about 300 people who work in the feeding site. However, we can also do something on our own to help. Regardless of whether people will listen to you, it’s still worth educating them so at least they can make an informed choice. Some of my friends (and even travel bloggers) have ignored me about this issue when I brought it up, but some listened and it gives me hope to know that together we can still make a difference. Note: Featured image is by Jon Hanson (Wikimedia). Whale shark watching is truly a rare experience but we need to be responsible and take care of the whale shark. We need to study more if this activity is causing harm or helping the whale sharks. We need to get more input on how to really make this activity nature friendly as well as a great experience. Erwin, I’m disgusted that you talked about responsibility and linked to a whale shark tour at the same time. I deleted your link. I fully support you on this. They should not rely on human beings for food. They should be out on the wild. I super agree. When we were in Oslob, I’m excited at first but when I was there, seeing what really “swimming with whale shark” is, makes me feel bad for the whale shark. The locals should make a step to limit the crowd. Excellent information. We are heading to the Philippines in a few months and have been wary of which outfits we would use to see whale sharks due to the bad reputation and feeding practices that so many seem to have. I wasn’t aware of the dangers to the whale sharks. It’s sad to know that this is happening and it’s being done to earn from. It should be put to law somehow how marine life is treated. It’d be sad to know that one day they become endangered. Thanks for sharing your experience. I just saw photos on Facebook of friends swimming with the whale sharks in the Philippines and thought it would be awesome. Now I know how not to do it. I was in Cebu and couldn’t justify on swimming with the whale sharks in Oslob (the environmentalist in me cringe…) but glad there is an alternative! Also, quick hello from FTB! I’ve been guilty of stalking your blog and found it really helpful for my trip to the Philippines! Thanks for sharing this information, I think it will hopefully make a lot of people stop and consider their actions. I wouldn’t feel comfortable encouraging the feeding of wild animals for tourism, so I agree with you there! Oh, I have tried diving with the whale sharks in Oslob. That was 4 years ago. After reading this, I now feel guilty. I never gave it much thought, on what bad things that can happen to them. For me, as long as I see that they are swimming in open waters, I’m good. But now, thinking about it and after ready your post, everything I believed in has changed. Thanks for opening my eyes. Yeah, me too. We were there 2 years ago and before our trip we hadn’t read or heard anything about this issue. I think it’s really important to spread this info and educate others so we can have an informative choice on which attractions to visit. This is really the reason why I didn’t even try to go to Oslob and have a close encounter with whale shark. I don’t see any reason to do it because of the wrong way of treating them. I hope the Government of Oslob and Cebu will do something about this. This has long been an issue and yet the operation is still on-going even up to this time. I even fought with my friends regarding with this one, cause I tried to stop them to visit Oslob and swim whale shark. It is really heart breaking knowing that there are still people who don’t practice responsible tourism. People are divided and I think a lot are in denial because of the income it generates for Oslob. I’m actually surprised I’ve yet to see a disagreeing comment on this one. I can recommend the Whale shark nature foundation on leyte. We do this trip with Erhard from “whale shark divers” leyte . It is like roulette game . may be you got one – may be not 🙂 . But it is strictly observed by the foundation that not too much people go there . The spotters (which are fishermen before) get a new job there . They go with small boats and snorkeling glasses for looking if there are whale sharks present. If yes , the tourist boats which have to wait outside get informed and are allowed to come thru quiet and slowly . All snorkeling is observed from staff of the nature foundation . It was a great trip, because we are lucky and had 3 Whale sharks this day. Wow, thanks for the tip! I read about whale sharks in Leyte but there isn’t much info in the net then. I was in Cebu last March and I stayed in Oslob for 5 days but I didn’t partake in the whale shark activity. It’s not that I was being self-righteous but I simply do not support the practice. We have received offers and requests to cover the whale shark watching activity in Oslob several times. We turn them down every time because the practice is non-sustainable. It also affects their natural actions. I also agree that whale shark tourism in Oslob should be regulated if it is not possible to be prohibited. People should not always think of money they should also think of caring for nature because nature is our source of life. There are a lot of ways to help those people who depend on tourism in the place, earn a decent living. I am one with you in this cause. I do not recommend friends and acquaintances to visit Oslob with its whale shark related activities. Would recommend to visit its natural attractions like the Tumalog Falls and other structures. Plus according to my friends whom been there, the water is quite “malansa” and itchy, or better alternative is Moalboal’s Sardine Run.